CHAMBERS COUNTY, AL – The Alabama Department of Education has released the Alabama State Report Card, containing a letter grade for schools and school systems across the state. The Report Card reflects several different factors including academic achievement, academic growth, and chronic absenteeism, as well as graduation rates and college and career readiness for high schools. The Chambers County School District as a whole received a letter grade of C, and a numerical rating of 76. The State of Alabama introduced the State Report Card this year in compliance with the federal Every Student Succeeds Act passed by Congress in 2015, which requires states to report on student academic achievement. The goal of the Report Card is to provide a starting point and to offer easy-to-understand and concise information showing how a school is doing. However, most of the data used for the State Report Card score was taken from the ACT Aspire Summative Assessment that the State of Alabama used to measure the educational standing of students in grades 3 through 8 and 10 from 2012 until 2017. In June 2017, the State Board of Education voted unanimously to terminate the use of ACT Aspire as the state summative assessment, yet included its data as a major component of the Report Card formula. Therefore, the Chambers County Board of Education has joined a growing number of school boards across the state that have adopted a resolution for a Vote of No Confidence for the report card because of the criteria established for measuring assessments, including “chronic absenteeism” that does not recognize excused absences. “While the Report Card definitely has its flaws, it is one tool to highlight what we are doing well and where we need to improve,” said Hodge. “It is not meant to be the only measure of a school’s performance. Rather, it gives us an opportunity to encourage honest conversations about what we need to do to help our students succeed. We are all in this together. Schools, parents and our communities have a role to play in educating our children.” Hodge also pointed out that current initiatives are in place to help schools improve academic achievement, such as parent development workshops conducted at Lafayette Eastside Elementary designed to teach parents how to encourage reading at home through daily interaction with their children. And, at J. P. Powell Middle School, family math, science and fitness nights are held each month, as well as after-school tutoring in math and reading each week. Similar activities are scheduled on a regular basis in schools throughout the district. Additional data and details about the factors used to determine grades for each school are available on the Alabama Department of Education’s website at www.alsde.edu. Parents can also see how their children’s school compares with others of similar demographics. LaFAYETTE – The Chambers County School District has announced the dates for a second round of public forums on the proposed consolidation of Valley and LaFayette high schools. The first of these forums will be held on Wednesday, April 24, at the Valley Community Center, beginning at 6 p.m. EDT, followed by a second meeting on Thursday, April 25, at the ALFA Building in LaFayette, beginning at 6 p.m. CDT. Last October, the school district launched a campaign to gather input on the future direction of public education in Chambers County, including the proposed consolidation of the district’s two high schools. Citizens were asked to complete an online survey for expressing their views on the proposal, which was followed by the first round of public forums held in November. According to results of the online survey, citizens who indicated their preference regarding consolidation were evenly divided, but approximately 25 percent of respondents stated a desire for additional information. The proposed new high school campus would also include a multi-purpose auditorium, athletic practice fields, and the re-location of the Chambers County Career Technical Center. The current Career Tech facility would continue to be utilized by the popular and growing agricultural programs, such as Future Farmers of America. Shown above, from left, retired educator and former Chambers County School Board member Judy LaFollette interviewed Parker Williams, a fifth-grade student at Huguley Elementary School, during the first round of “The Amazing Shake” competition at the Cotton Duck in Valley. LaFAYETTE – Fifth and sixth-grade students in the Chambers County School District are currently involved in an annual competition known as “The Amazing Shake,” designed to help students hone special life skills that will enhance their chances of becoming successful citizens. Round one of the competition began Tuesday at the Cotton Duck in Valley, where 34 contestants were interviewed by current and former educators and business professionals. Students received between one and four points in each category, and those scoring the highest number of points will advance to the second round next week. Winners from the first round include Lyric Sturges, Parker Williams, Carter Chambley, Eli Whorton, Sam Smith, Maggie Jo Rennie, Caroline Henry, Ka’lyn Hargett, Si’Nora Grier, Micah Strickland, Ariana Smith, and Madison Davis. 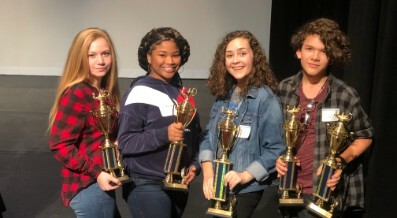 On Tuesday, April 23, the semi-finalists will demonstrate their speaking skills and how to remain calm under pressure when the competition continues at Langdale Auditorium, beginning at 10 a.m. EDT. The public is invited to attend. The third and final round will be held on Tuesday, April 30, at the Chambers County Board of Education office in LaFayette, when finalists will be given "job interviews" by school superintendent Dr. Kelli Hodge and members of her administrative staff. The Amazing Shake was created by the Ron Clark Academy in Atlanta, and was first introduced to Chambers County students last year. "It initially involved only fifth graders, but we expanded it this year to also include sixth graders," said Dabbs. "We will continue adding a grade each year until we reach the eighth grade, at which point we hope to send a student representative to the national finals." Students start preparing for the competition at the beginning of the school year by participating in frequent exercises that place emphasis on manners, discipline, respect, and professional conduct. The goal is to help students present themselves exceptionally well for opportunities today as well as those they will face in the future. VALLEY – Representatives of the Alabama Alcoholic Beverage Control Board returned to Valley High School Friday with an impactful message for students: “Under Age – Under Arrest.” The program featured guest speakers, photos, and videos to illustrate the dangers associated with underage drinking. Argo and his team of experts travel across the state each year to share their message with school students, church groups, and other organizations. Over the past twelve months, they have presented their program to more than 100 audiences. To illustrate their message, Argo’s team showed students a series of photos featuring high school students who lost their lives from poor decisions that led to drug and alcohol use. The program concluded with a video presentation showing the personal stories of two Alabama mothers who lost family members due to alcohol-related incidents. VALLEY – The Chambers County School District recently hosted the 2019 Special Olympics at the Valley Community Center. Special education students from all local school systems also participated. “This is the main event our students look forward to and prepare for each year,” said Diane Sherriff, Special Education and Services Director for Chambers County Schools. Various competition events included a 50-meter, 100-meter, and 200-meter run, a 50-meter and 100-meter walk, a 50-meter wheelchair walk, a 50-meter assisted walk, long jump, tennis ball throw and softball throw. Founded by Eunice Kennedy Shriver, Special Olympics has been changing lives and attitudes since 1968. What began as a backyard summer camp for people with intellectual disabilities is today a global movement. Shown above is a group of fifth-graders at Lafayette Lanier Elementary School who recently completed a series of projects applying graphic sources to illustrate collected data. Displayed behind them is a visual-historical account of their school, which was constructed in 1935. The students are, from left, Amirrial Brooks, Rihanna Swain, Kendrick Peterson, Allie Paschal, Zoe Herston, Noah Sealey, Brendan Foster, Katelyn Deloach, Terriona Flournoy, Olivia Moncus, and teacher Julie Mitchum. VALLEY – Most people are familiar with the Jeff Foxworthy television show “Are You Smarter Than A Fifth-Grader?” But based on the results of audio-visual projects recently completed by students at Lafayette Lanier Elementary School, you might find that question difficult to answer. Students used sources of information through the internet to research the tragedy and documented their findings in a powerpoint demonstration, complete with photos, graphs, and historical data. A second team of students chose to research the history of their school, constructed in 1935 through proceeds donated by the man for whom the school is named. The project actually began with the origin of Langdale Mill, the first of several textile manufacturing facilities throughout the Greater Valley Area that would later become West Point Pepperell. Photos were used to illustrate their historical research, including the Cotton Duck kindergarten, Langdale Auditorium, Sears Memorial Hall, and the long-gone Langdale pool. A third team distributed Google surveys to their fellow students to find out what they liked most about their school and things they would like to see added to the curriculum. Based on the responses provided, the team created graphs and charts to reflect the collected data. Results showed that the current favorite subject is Science, and the majority of students seem to prefer some type of Lego application in future studies. The school history research project is currently on display in the first-floor hallway of Lafayette Lanier Elementary. Shown at left are Cameron Downs, Albrikiyonce Echols, Meagan Brown and Aarron Barrett, all Business/Finance students from the Chambers County Career Technical Center, who recently won their respective areas of competition at the annual Southern Union Business Tournament. LaFAYETTE – Ten Business/Finance students from the Chambers County Career Technical Center recently participated in the annual Southern Union Business Tournament, held on the campus of Southern Union State Community College in Valley. Four of those students received top honors in their respective areas of competition. Aarron Barrett took First Place in Business Calculation, and finished second in General Business/Economics. Cameron Downs was the Frist-Place winner in Business Communications, while Albrikiyonce Echols took Second Place in Accounting and Meagan Brown finished third in Business Calculations. The Business/Finance curriculum is one of ten courses of study provided by the Chambers County Career Technical Center, benefiting students from all local high schools, both public and private. VALLEY — A Valley resident employed by the Chambers County School District spoke to the Valley City Council recently about an idea he has to make the city litter free. David Bell thanked the council for having a citywide cleanup effort on Saturday, April 6. “While I personally plan to participate, the unfortunate reality is that trash and debris eliminated on that date will quickly be replaced by more litter unless additional measures are taken,” Bell said. Bell said that the long-term solution is simple but requires collective action on the part of Valley residents. It’s a matter of having neighborhood pride, one residence at a time. Bell suggested forming a committee of Valley residents representing each area of the city. This initiative, said Bell, would offer an excellent opportunity for younger residents of the city to be active in improving their surroundings. “A sense of pride evolves from taking responsibility and implementing an effective plan for ultimate achievement,” Bell said. Bell said that litter gives a bad first impression to visitors. Neighborhoods that did exemplary work in staying litter-free could be recognized as Neighborhood Pride Zones. Bell said he would be putting words into action by launching a campaign in his neighborhood, which is in the Fourth District. Bell said that it wasn’t rocket science. “We will take this under consideration and study it,” Mayor Leonard Riley said. LaFAYETTE – The Chambers County School District is currently accepting applications for Virtual School in the 2019-2020 school year. This online curriculum offers students in grades 9 through 12 the opportunity to earn a high school diploma with courses consistent to those provided in the traditional classroom setting. · Have access to the internet and to a computer outside of school. · Be proficient in reading, writing, and math. · Maintain minimum overall GPA of 2.0 in courses taken during the current academic year. · Maintain appropriate course progression as measured by the completion of weekly assignments, quizzes, and/or tests. · Remain a student in good standing of the Chambers County School District. · Adhere to the Academic Integrity Contract. Students must meet the established attendance and academic progress criteria which will be monitored by CCSD staff. All full-time virtual students will be enrolled as a student in the high school zone in which they reside. These students will be counted in the average daily attendance, and will participate in all state testing and accountability requirements. Upon satisfying all graduation requirements, students enrolled in the virtual pathway will receive an Alabama High School Diploma. Virtual School students are also eligible to participate in extracurricular activities at the school in which they are enrolled, according to attendance zone. They are subject to the same requirements, including Alabama High School Athletic Association rules. 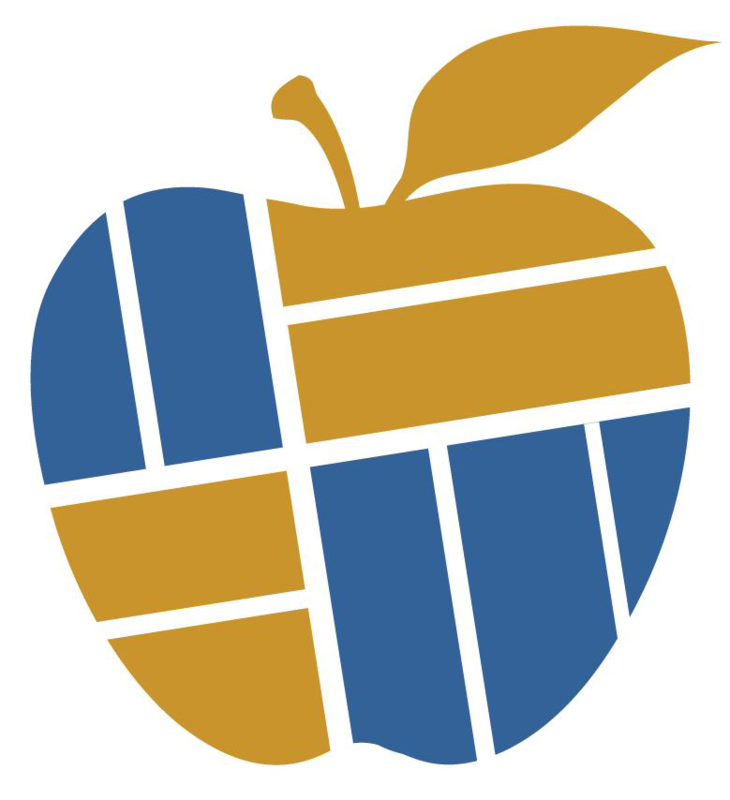 Application forms for Virtual School are available through the school district’s website at www.chambersk12.org, or at individual high school locations. Parents and prospective students wishing to participate are also required to attend a mandatory orientation meeting to be held at the school where the student is enrolled. For additional information about Virtual School, contact Dr. Sharon Weldon, Director of Secondary Education, at 334-864-9343, extension 10232, or via email at weldonss@chambersk12.org.